Wood Material: There’s a big difference between real wood, plywood, and manufactured wood products. Domestic vs. Foreign Wood Species: You need to pay attention to where the wood was grown. Wood Species: Read up on the pros and cons of different species of woods. Reclaimed Wood: Keep these special considerations in mind if you’re shopping for a reclaimed wood piece. Joinery: How the furniture is constructed is hugely important. Veneers: Some are high quality, others will start to peel. Finishes: This covers staining and the final coat to protect your wood. Seek out American-made furniture constructed out of real wood and you won’t be stuck replacing pieces again and again. 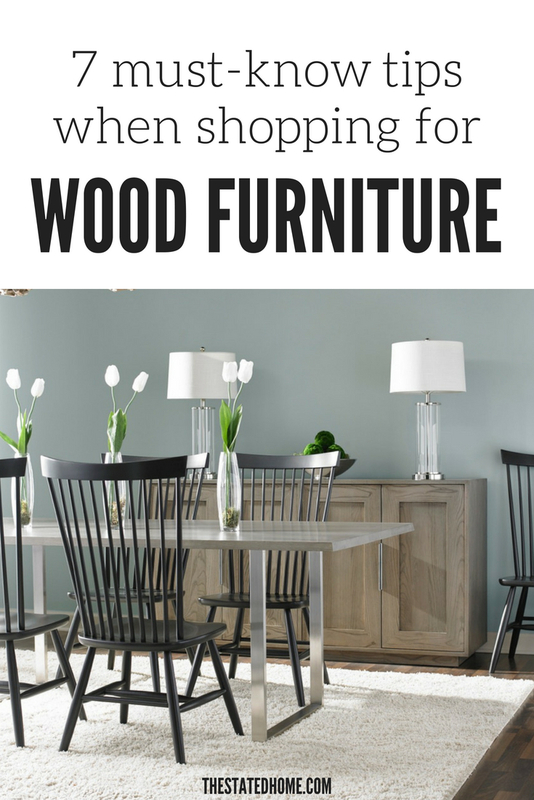 All you need to know to find a high quality, long-lasting piece of wood furniture in one easy-to-use guide.